When I first started collecting Mets autographs in the early 1990s, I never considered trying to obtain the signature of everyone who’d ever played for the team. I was content to try to get the current Mets, and maybe a few of the players who’d recently moved on to other teams. Maybe if I’d taken a more expansive view back then, I’d have a few less names on my list that I still need. But there are a lot fewer names on that list than I expected when I started this project in an organized way back in 2007. 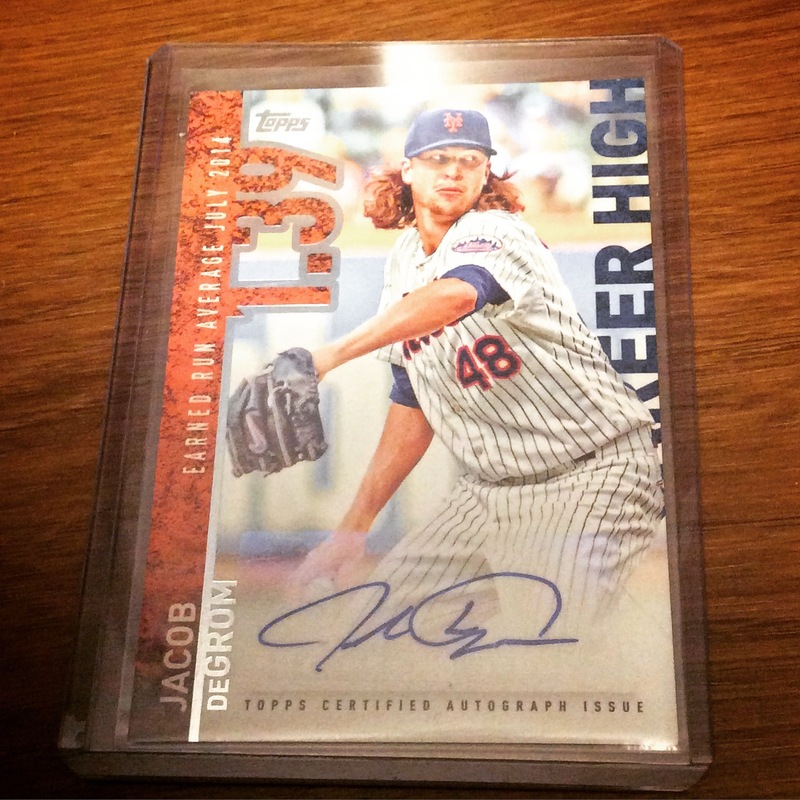 My friend Greg gave me a Topps certified Jacob deGrom autographed baseball card, and by my count it’s my 900th signed baseball card featuring a current or former Mets player. That leaves 84 names to go. I don’t expect to ever get them all… but I didn’t expect to get this far either. I guess anything is possible. Thank you to Greg and everyone else who’s helped me along the way. Names in bold are former players who have passed away. That is damn impressive. Congratulations on 900! Congratulations. That is an impressive feat! Man, You must be running out of room to store them all. As for signed Mets cards, I’m only about 890 behind you.